Filing for divorce can be emotionally draining, stressful, and worrisome. While it may be a necessary move for both spouses, it can be difficult to know where to start or how to initiate this process. One could immediately speak with an experienced Los Angeles divorce lawyer about how to proceed, but sometimes just knowing the steps involved beforeheand can offer strength and peace of mind. We'd like to go step-by-step through the process of filing for divorce in the state of California. As you'll read, the procedure is generally straightforward. There is also FL-160 Property Declaration (Family Law), which is available if you require more room to list you and your spouse's property and debts. Once you have all the necessary forms ready, be sure to fill them out thoroughly and to the best of your ability. The California Courts website we noted above includes instructions on how to fill out the forms. When the forms are completed, your next step will be to go to the local courthouse to file the documents. You'll present your documents to the clerk and pay a filing fee. The clerk will then date-stamp the forms and have them entered into the court. You will receive copies of these documents. The next step is to serve your spouse a copy of the divorce documents. This notifies your spouse of the process that is underway. He or she will have 30 days to respond. There are different options for serving divorce papers. Sometimes divorce papers are served through a county sheriff. Other times the services of a professional process server are sought. There are also cases in which a friend or relative over the age of 18 hand delivers the documents to the respondent, or when the documents are delivered by mail. If you have questions about serving your spouse, a divorce attorney or a court clerk can offer guidance. In a number of cases, this is the most difficult part of the process. 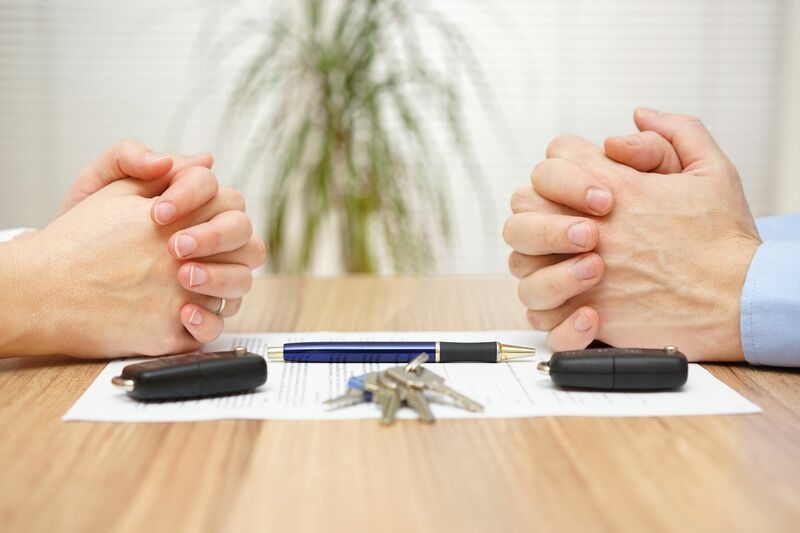 You and your spouse will discuss the terms of the divorce, which includes issues such as the division of property, child custody, child visitation, payment of child support, and so forth. All of these forms are also available free online at courts.ca.gov/1230.htm. If the terms of the divorce cannot be agreed to, an Order to Show Cause may be filed. This allows for a hearing in which a judge can review issues that are under dispute. The final step is to file a Marital Settlement Agreement. The court will go over the Marital Settlement Agreement at a public hearing, at which point a Final Judgment is issued. The presence of either spouse in court during the hearing may not be necessary if the terms of divorce are agreed upon. For more information about filing for divorce and your legal options to consider, we encourage you to contact an experienced family law attorney today. By speaking with our team, you will receive all the information and guidance you need every step of the way.